Other Products by Herbs Of Gold. Search other Energy Supplements products. Vitamin B3 is one of the B-Complex vitamins. 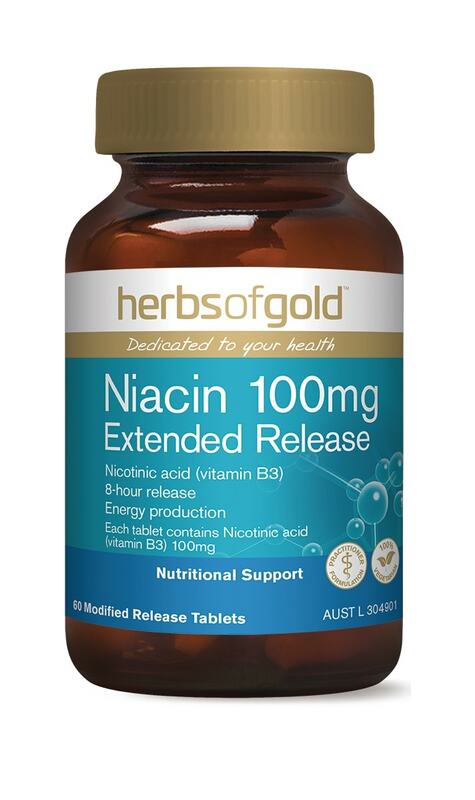 It is sometimes called nicotinic acid, niacin or nicotinamide. Vitamin B3 plays an important part in regulating our natural energy levels. It does this by supporting then synthesis of NAD+ 1. NAD+ is essential to the activity of the mitochondria, the energy producing part of the cell, where it supports the electron transport chain and ATP synthesis. Niacin is also required for the health of the central nervous system, and may play a role in protecting the nerves as well 2. 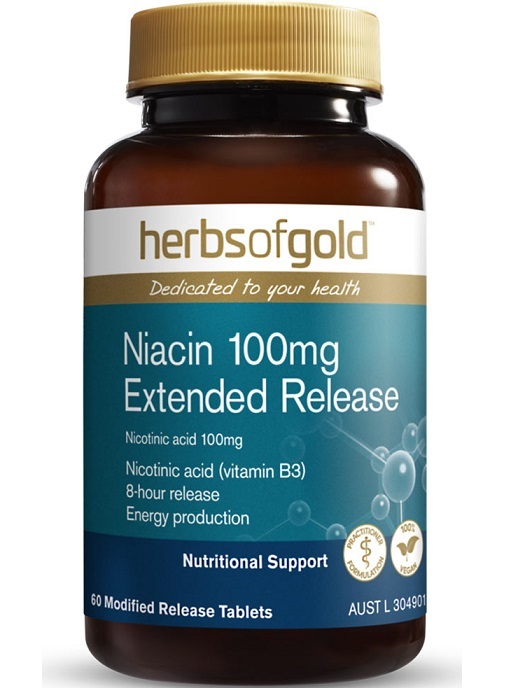 Niacin has also been used to increase the serum HDL to LDL cholesterol ratio, and therefore may support cardiovascular health 3.